Standing Rock is becoming a national model for opposing oil pipelines. Read a story about a oil pipeline controversy in other parts of the country and it will reference DAPL or Standing Rock. Similar to Standing Rock, people in Florida worry about the potential leaks and their impact on drinking water. Pipeline opponents have adopted the Standing Rock term “water protectors” and created a Water Is Life Camp near the Santa Fe River. The Bad River Band of Lake Superior Chippewa’s tribal council voted Wednesday to refuse to renew several easement rights of way for Enbridge’s Line 5 pipeline that expired in 2013…. 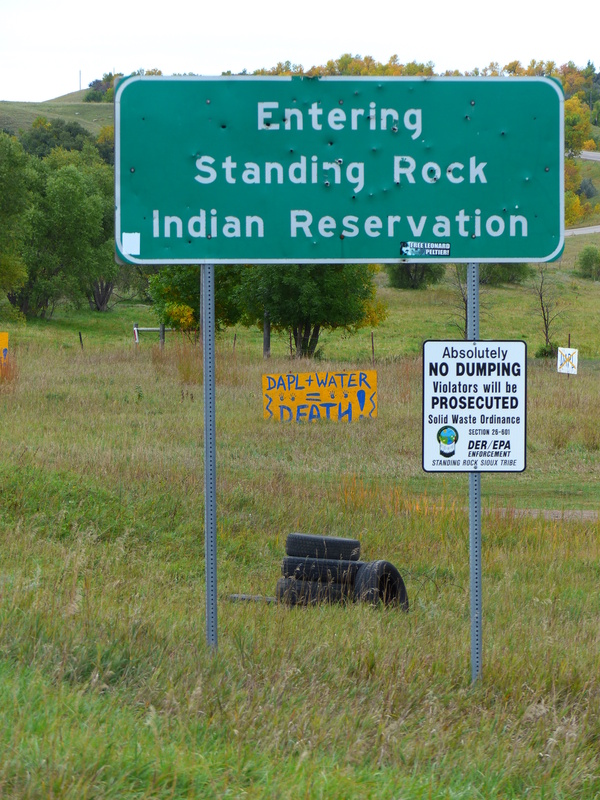 The Bad River Band’s decision comes amid an ongoing protest over the Dakota Access Pipeline in which the Standing Rock Sioux Tribe and other tribes have argued the project threatens drinking water and tribal cultural sites. Click on the story for details.